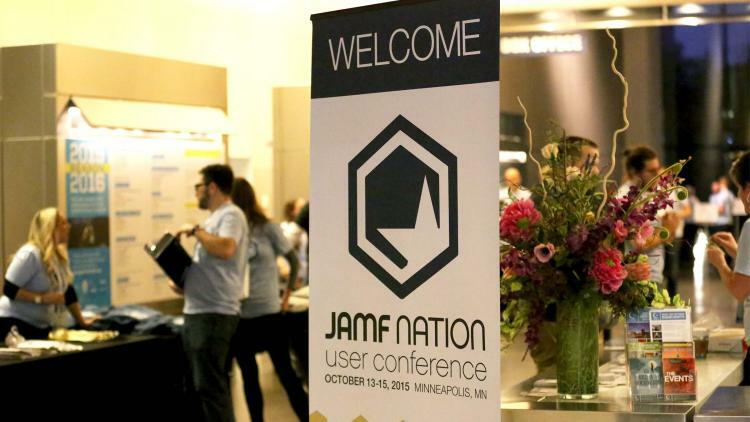 Morning is dawning over the JAMF Nation User Conference on this cool morning along the Mississippi river in Minneapolis. As the lobby of the beautiful Guthrie Theater fills with our friendly welcome crew and our Twitter timelines fill with mentions of the #JNUC hashtag, excitement is building as new and old friends arrive from around the world. This year, Apple IT administrators from at least 20 counties on 5 continents around the world will be in attendance, alongside representatives from more than 45 of the 50 U.S. states. Needless to say, it is a big group with a wide variety of professional and personal interests. Over the next 3 days, we hope that each person in attendance will take away a few things of great value. As attendees arrive and connect with old friends and new, this is a great time to revisit Jody Rodgers' great “Welcome to the Conference Zone™” post. Wise words from a man who truly knows how to to get the most out of a conference. If you're here, welcome to the JNUC! If you were not able to make it this year, we hope you'll enjoy following along from home, and perhaps be inspired to start making plans to join us next year.